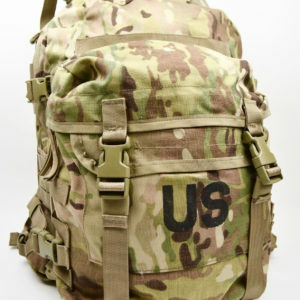 Designed to satisfy requests from paratroopers for a pack that’s smaller than the large MOLLE ruck but with more capacity than the medium MOLLE. Molle 4000 Multicam Rucksacks come in preowned condition. Rucks have NO holes or burn marks. 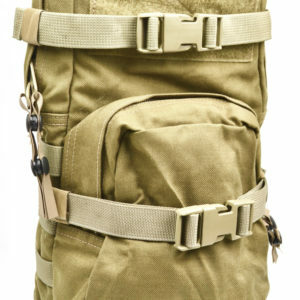 All Molle 4000 rucks are complete with frame, buckels, snaps, straps and jumpable harness attachment equipment. Rucks have staining to the front and back. Rucks have scratches to the buckles and snaps. Designed with an Innovative Rib Configuration that Allows the Frame to Flex Around the User’s Body for Load bearing Comfort and Increased Range of Motion. Yet is Rigid Enough to be Stable While Supporting as Much as 200 lbs.